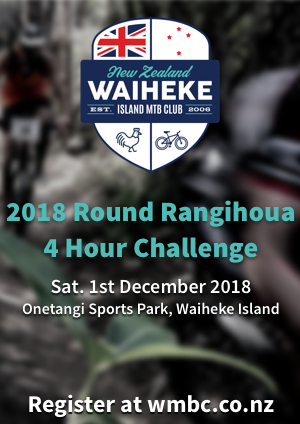 We Finally have a meeting with Auckland council at the end of the month , regarding getting access in the form of a loop track in to Whakanewha Regional park. This would certainly add some k’s and further complement our 8km’s of flowing single track at the Onetangi sports park. This has been a slow process due to the Super city change over. I will keep everybody posted with feedback from the meeting. This entry was posted in Latest News and tagged Mountain Bike Trail Waiheke Island by Vaughan. Bookmark the permalink.